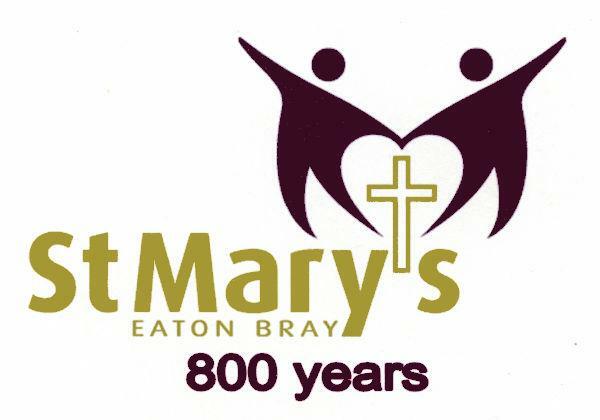 2019 marks the 800th anniversary of the Parish Church of St Mary the Virgin, Eaton Bray. An 11th or 12th century church may have stood on the site, built of wood or wattle and daub, but for 800 years the church we recognise today has served as a focus for worship and prayer for the village of Eaton Bray and, since 1975 it has been the Parish Church of the newly created Parish of Eaton Bray with Edlesborough. The eminent architectural historian Niklaus Pevsner says of the church, "Externally the church is not specially memorable - but its interior one will hardly forget. It is surprisingly splendid, thanks to the two arcades." Sir John Betjeman went even further in his praise when he wrote that St Mary's "has nave arches of absolute and quite unexpected magnificence." The Domesday Book records that the manor of Eitone was granted to Odo, Bishop of Bayeaux and half-brother to William the Conqueror. It passed to Henry II and Eleanor of Aquitaine after which the manor was granted to one of King John's inner circle of advisors, William de Cantelupe and he began to build the church on a magnificent scale, although the church was completed on more modest lines. It is noted that in 1219 the vicarage was committed to the charge of Nicholas - the first known vicar of the parish. In 1490 the Manor of Eaton was granted to Sir Reginald Bray, from whom the village takes its name. He is one of several men credited with finding the crown abandoned by the defeated Richard III after the Battle of Bosworth Field (1485) and placing it on the head of Henry Tudor. Bray rose to become High Treasurer and Chancellor of the Dutchy of Lancaster. He was an accomplished engineer and architect and was closely involved in the building of St George's Chapel, Windsor. Bray is responsible for the present appearance of the church (apart from the tower which was restored in the 19th century) - the chancel was rebuilt, the nave roof raised and the clerestory windows installed. By the late 19th century the church was in a parlous state and from February 1875 services were held in the schoolroom across the road. It was the Revd Edwin Sutton who guided the parish through the restoration of the church. His entire incumbency (1890 - 1916) was dominated by the task, which was accomplished with the aid of generous benefaction from the Wallace family who built a nursery with acres of greenhouses in which choice carnations and roses were grown. The building is a fine testament to previous generations but its real importance lies in being the focus of the life of a community of Christians today, who worship here, thus maintaining an unbroken tradition of prayer and praise over many hundreds of years, and who proclaim the faith of Jesus Christ and serve the community in his name and after his example. That is why the present generation works hard to preserve and improve it so that it may inspire future generations to continue the tradition of prayer and service.